(http://www.zerohedge.com)- -If you hate the government so much, why don’t you move to Somalia? That might soon be a great option. The truth is Somalia is not without government. It actually has multiple governments. In the south, you see corruption, crime, and gang-like government oppression. This is what the United Nations and most of the international community call the official government of Somalia. 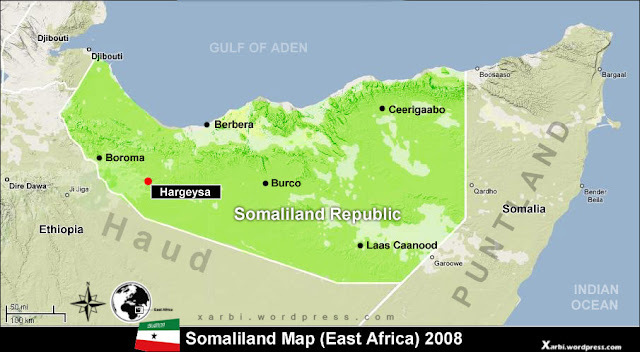 And in the north there is a separatist state called Somaliland. Here crime is lower, and the economy is freer. More people have power and water. The standard of living is higher. The region bases its law on the historical Xeer system, similar to Common Law. And until now, no international entity wanted to recognize Somaliland. Did the people protest? Did the government petition the UN? Did they rebel against the southern “official” government? No. Economic opportunity surfaced. Somaliland’s first international ally is not a government, but a business. The fourth largest port company in the world made a deal with the government of Somaliland. DP World will build an economic free zone in the new Republic. A total of 12.2 square kilometres of land has been earmarked for the Berbera Free Zone (BFZ), which is to be modelled on Dubai’s Jebel Ali Free Zone (Jafza), the Middle East region’s biggest free zone. The Dubai-based ports operator signed a 30-year concession agreement to manage the Port of Berbera in May 2016. In September 2017, the port recorded a 40 per cent year-on-year increase in container volumes – the highest total volumes in the port’s history, DP World said in a statement. The new economic zone aims to position Berbera as a gateway port for east Africa, by encouraging investments and trade in the warehousing, logistics, manufacturing and related businesses. DP World will develop the free zone in phases, with the first phase focusing on 4 sq km of land, according to the terms of a deal signed this week between Somaliland’s foreign affairs minister Saad Shire and DP World group chairman and chief executive, Sultan bin Sulayem. This is actually a really big deal. It shows a number of developments. The northern region of Somalia effectively seceded from the south. Its economy is doing much better than the rest of Somalia. And by opening up some of their land to free zones, the government of Somaliland is proving that they are forward thinking. They are ready to bring this unstable region of Africa into the modern economy. And that is all well and good. But now a successful company with an amazing track record is making a deal with Somaliland. This company had no small hand in developing Dubai into the economic powerhouse and model modern economy that it is today. This partnership is huge for Somaliland. And at the same time, it promises to be quite the boon for DP World as well. The company has the opportunity to design a Special Economic Zone from scratch. They can take all their best practices from other special economic zones, and apply them in a region scarred by anarchy. And this will show the world just what kind of governance can be built by private companies. Somaliland gave DP World a 30-year concession and majority control to manage the new port. Now the new country can gain a foothold with a powerful ally on their side. And DP World can design a governing structure for their port that will attract business and investment. Somaliland was an isolated separatist region of a war-torn vacuum of power.